The “Impossible Trinity” is an economic concept developed by the great economist Robert Mundell in the early 1960s. Mundell said that a country could not have an open capital account, fixed exchange rate, and an independent monetary policy all at the same time without causing a reserve crisis. The idea is that if you have interest rate differentials (due to independent monetary policy) and peg your currency, then capital will flow from the low-yield to the high-yield country. At some point, these outflows will cause a reserve crisis or cause the pegged exchange rate to break resulting in a foreign exchange crisis. There are various other outcomes under Mundell’s framework including precautionary capital flight. The point is that trying the impossible trinity is bound to fail. China is proving this again today. They are trying to run an open capital account, maintain independent monetary policy (Chinese rates are significantly higher than U.S. rates), and peg the yuan to the dollar within a range. This policy is failing in multiple ways. 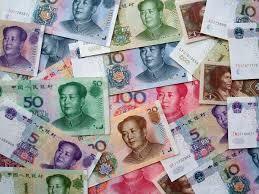 Capital outflows are huge, and downward pressure on the yuan is relentless all in anticipation of a maxi-devaluation. China may have to slap on capital controls (see story below), but this will upset the IMF, which recently included the yuan in the SDR as one of the big five global reserve currencies. China is heading for a reserve crisis or a foreign exchange crisis, or both. Read why this will once again prove that the impossible trinity is indeed impossible in this article .